The ICH office is hitting the road! 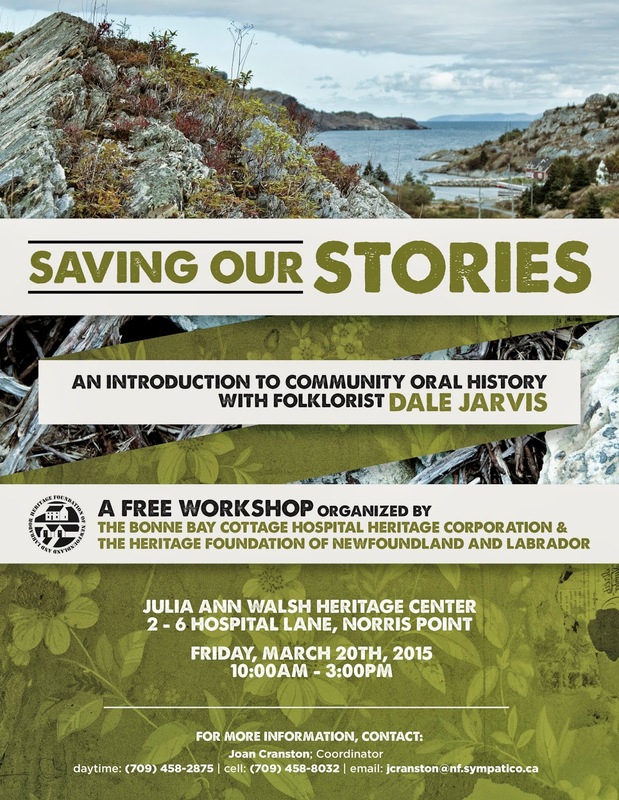 I'll be running a community oral history workshop at the Bonne Bay Cottage Hospital, 2-6 Hospital Lane, Norris Point, on March 20th, 2015. The workshop is being organized in Norris Point by the Bonne Bay Cottage Hospital Heritage Corporation. It is free to attend, but you need to register in advance. Contact: Joan Cranston; Coordinator; 709-458-2875 (daytime); or 709-458-8032 (cell); or email jcranston@nf.sympatico.ca.